A couple of our senior people – Gary Miles, MD and Sophie Carter, Marketing/Sales – paid a visit to RailTex yesterday and enjoyed the “buzz” at the NEC. 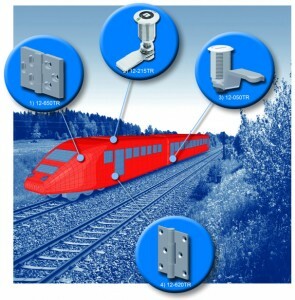 The rail industry is an important one for us as we have many standard locks, vibration proof locks, compression locks and hinges – including a range of stainless steel products which are used on rolling stock as well as on trackside cabinets and available from our Online store. Sophie and Gary were impressed by the busy show with many large stands – but also with a growing support from smaller suppliers. It is among these many suppliers that our Rockfast assembly program has been so popular since we are able to assemble to specification and deal with kitting, packaging and logistics all under one umbrella, enhancing quality and speeding the supply chain. For more in depth information and to download our Knowledgebase documentation please see our main catalogue and for your custom rail hardware please speak to our experienced sales team. Share the post "FDB visit RailTex"